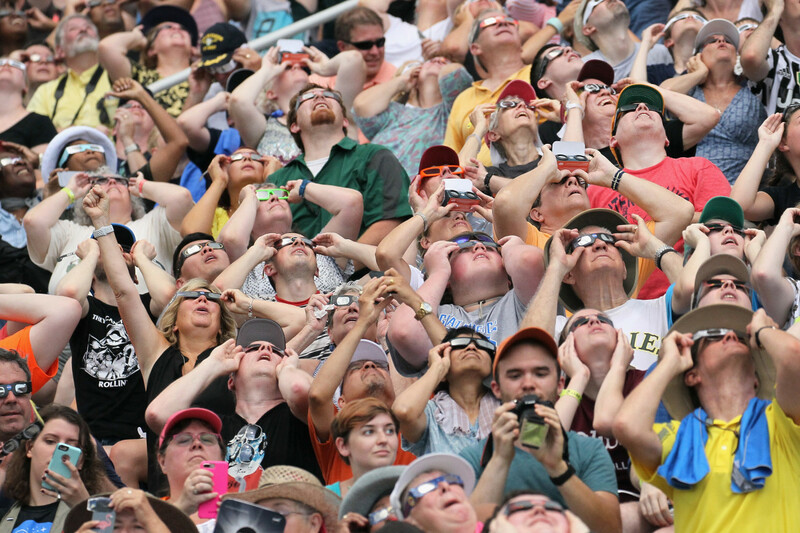 People watch the solar eclipse at Saluki Stadium on the campus of Southern Illinois University on August 21st, 2017, in Carbondale, Illinois. Although much of it was covered by a cloud, with approximately 2 minutes 40 seconds, the area in southern Illinois experienced the longest duration of totality during the eclipse. 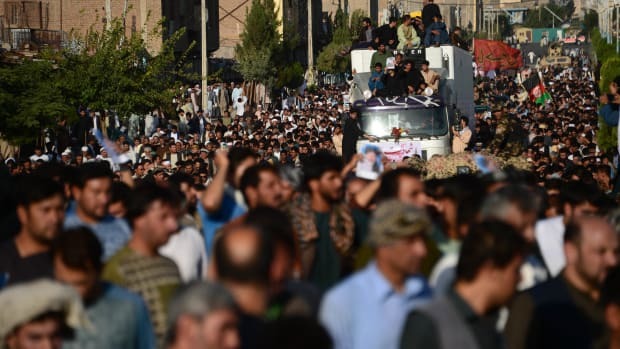 Afghan protesters shout against the Islamic State group following a mosque attack that killed 33 people in Herat on August 2nd, 2017.